Ed Harrison was born on January 14, 1917, in Kennett, Missouri. He enlisted in the U.S. Army on July 1, 1936, and served with Battery C of the 12th Field Artillery at Fort Sam Houston, Texas, until June 30, 1937; followed by a second enlistment in the Army on April 14, 1939. Harrison was accepted into the Aviation Cadet Program of the U.S. Army Air Corps for Pilot training on May 14, 1940, and switched to Bombardier training in July 1940. He was commissioned a 2d Lt and designated a Bombardier at Lowry Field, Colorado, on April 22, 1941. After serving briefly at Randolph Field, Texas, Lt Harrison served as a Bombardier Instructor at Ellington Field, Texas, at Albuquerque, New Mexico, at Midland, Texas, and at Big Spring, Texas, from May 1941 to January 1943. Capt Harrison next attended Navigator training and was designated a Navigator at San Marcos, Texas, in October 1943, followed by service as a Navigator Instructor, Bombardier Instructor, and Academic Instructor at Childress, Texas, at Maxwell Field, Alabama, and at Laredo Army Air Field, Texas, from October 1943 to September 1944. His next assignment was as a Bombardier-Navigator, Operations Officer, and Training Officer with Headquarters Army Air Forces, India-Burma Theater from October 1944 to July 1945, and with Headquarters Army Air Forces, China Theater from July 1945 to February 1946. During this time he flew combat missions in the China-Burma-India Theater, as well as in the European Theater while temporarily stationed in Italy. 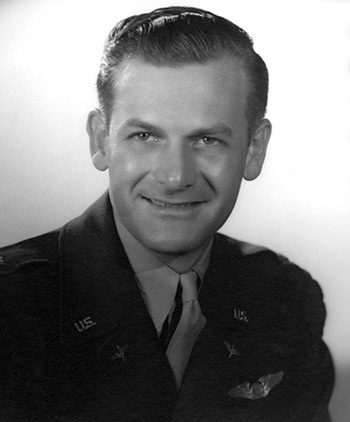 Major Harrison served as a Training Officer and B-29 Superfortress Radar Observer Bombardier with Headquarters, 58th Bomb Wing at March Field, California, and then at Fort Worth Army Air Field, Texas, from February to November 1946. Lt Col Harrison was on terminal leave from November 1946 until he left active duty on January 12, 1947, but he returned to active duty in the Army Air Forces in the grade of Master Sergeant in an enlisted status on April 3, 1947. He reverted to Commissioned status as a Major in the U.S. Air Force on March 18, 1948, and served as a B-29 Navigator Bombardier Radar Observer with the 2nd Bomb Group at Davis-Monthan AFB, Arizona, from March 1948 to February 1949, and with the 64th Bomb Squadron of the 43rd Bomb Group at Davis-Monthan AFB from February 1949 until he was medically retired from the Air Force as a Lt Col on September 6, 1949. Ed Harrison died on October 18, 1973, and was buried at Oak Ridge Cemetery in Kennett, Missouri. Ed was married to Max Helen Pickens from October 30, 1947, until his death. They had one daughter together; Max Helen Harrison Millican. 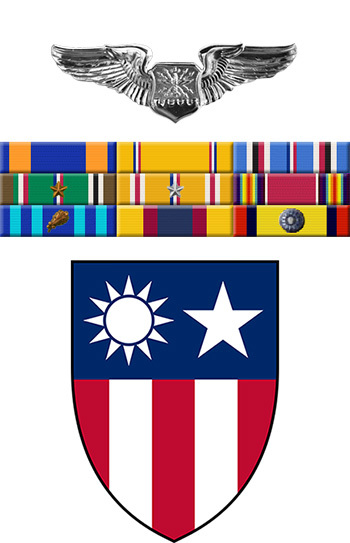 For meritorious achievement while participating as navigator in more than one hundred hours of aerial flight during the period 1 November 1944 to 18 June 1945 over territory in Burma and China where exposure to enemy fire was probable and expected. In the execution of these missions, Major HARRISON evinced a devotion to duty and a degree of efficiency above and beyond that normally expected, thereby reflecting great credit upon himself and upon the Army Air Forces of the United States.